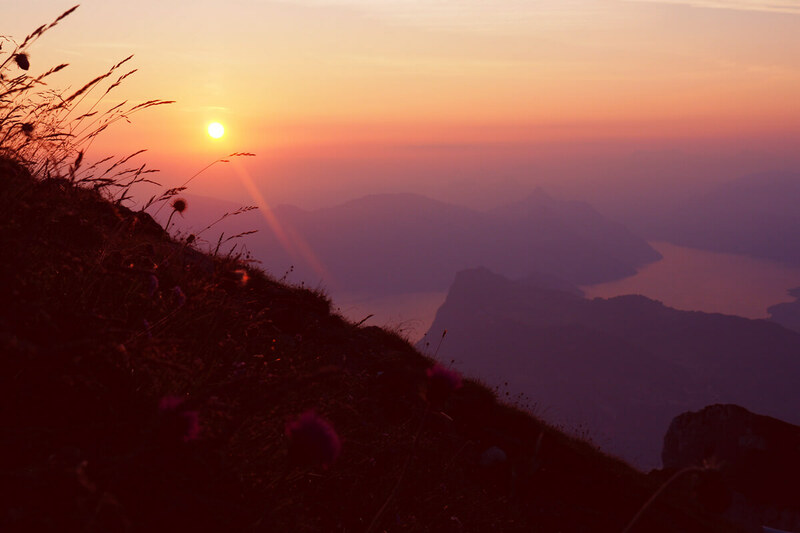 According to legend, two dragons live (peacefully) on Mount Pilatus in central Switzerland. We are intrigued by this age-old tale. And frankly, the possible presence of dragons is a deciding factor for our booking of a quick getaway to Mount Pilatus. Sure, I think that the chances of luring a real dragon in front of my 300mm zoom lens are slim to none. 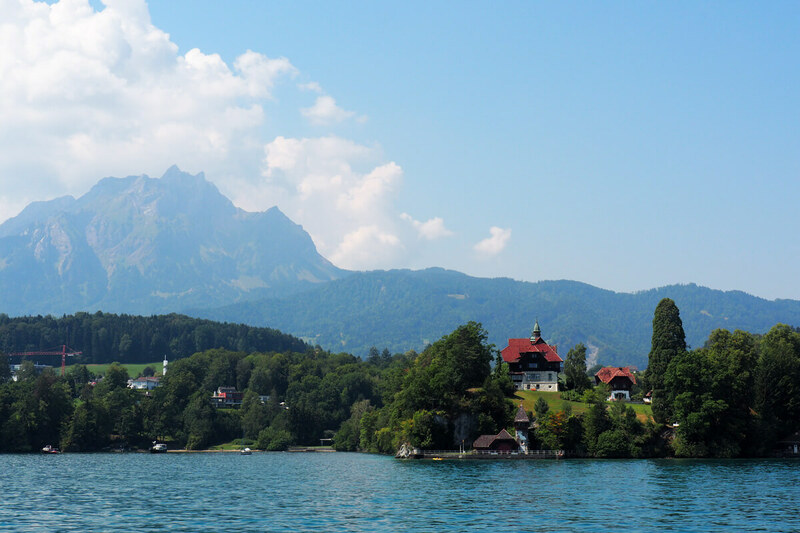 Here's how we maximized the trip from Lucerne to Mount Pilatus. 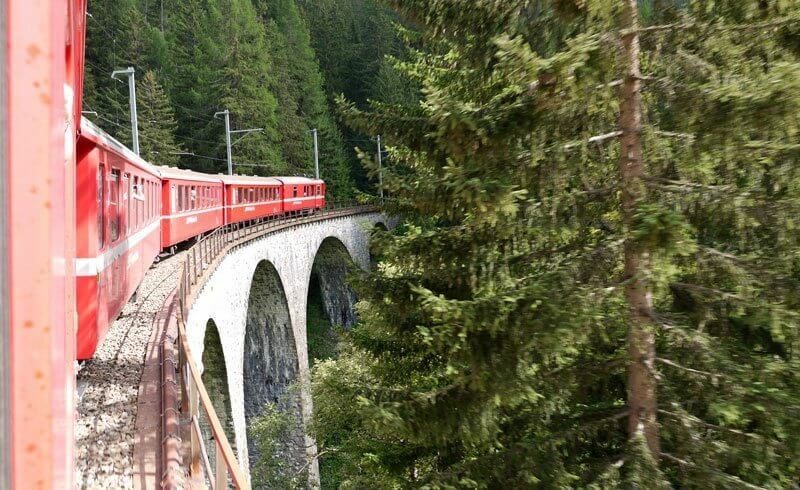 Hands down, the best way to reaching Mount Pilatus is via the classic Golden Roundtrip. 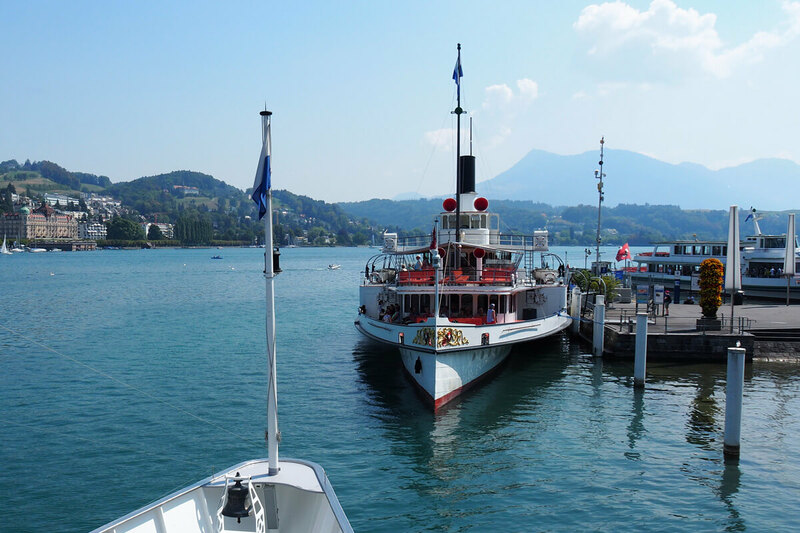 With Lucerne as a starting point, this excursion could easily be done in a single day. But thanks to that Ibex Safari overnight package, we will wait on the peak until all the tourists have left. When it is just us and a few other lucky guests, we will be sleeping in style under a million stars. From here, we hop on a scheduled boat to Alpnachstad. 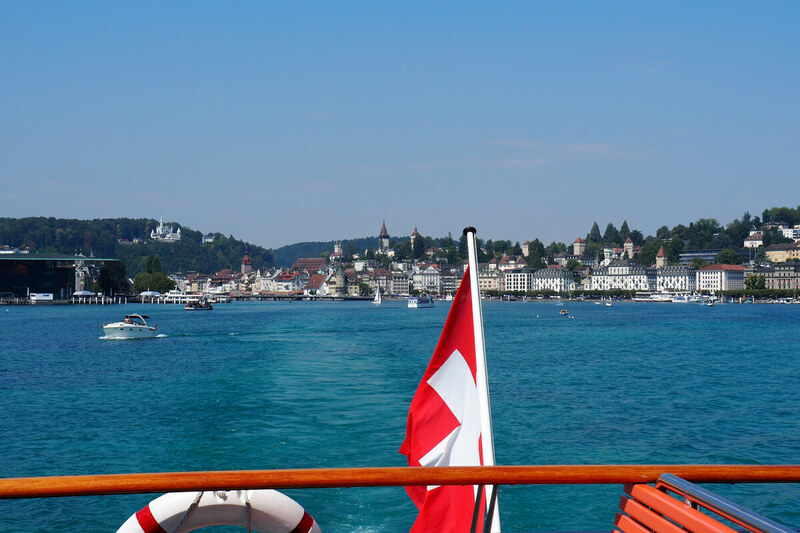 As we are cruising off onto Lake Lucerne, it's all "ship ahoy!" About an hour later, we reach the harbor at Alpnachstad. 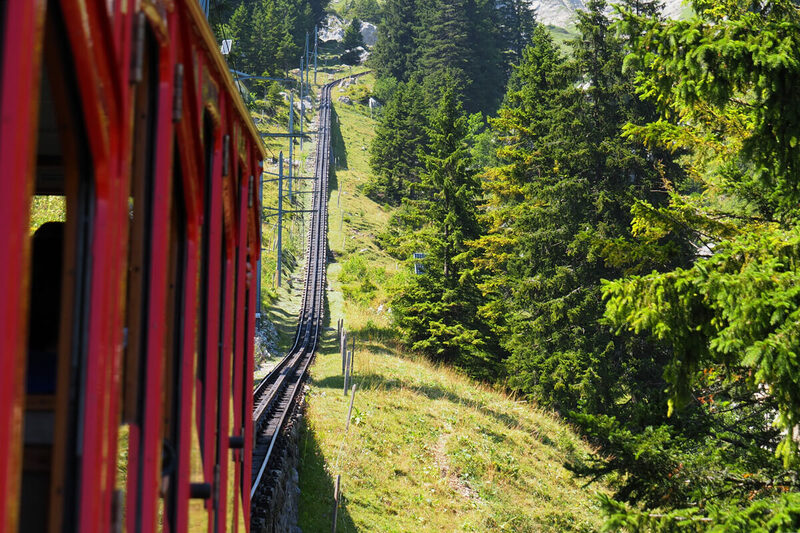 Here, we switch to the world's steepest cogwheel railway! Be aware that most any day, there will be lots of other enthusiasts who cannot wait to hop onto one of those vintage cogwheel carriages. Courtesy of our confirmed hotel reservation, we luckily receive a green voucher at the ticket booth, guaranteeing us a seat on the next train. 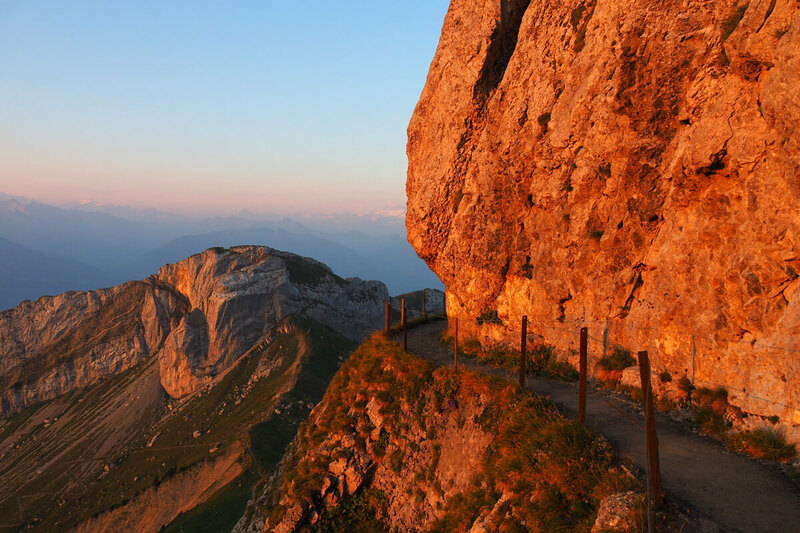 This side of Mount Pilatus is deliberately kept natural. The ride to the top through forests and alpine meadows takes about 30 minutes. At times, the climbing sensation feels more like riding an elevator. That's because it pretty much goes straight up! Some signposts along the route inform us of the current gradient, with the maximum steepness reaching 48 percent. And we negotiate no less than 1635 meters in altitude - an entire mile! 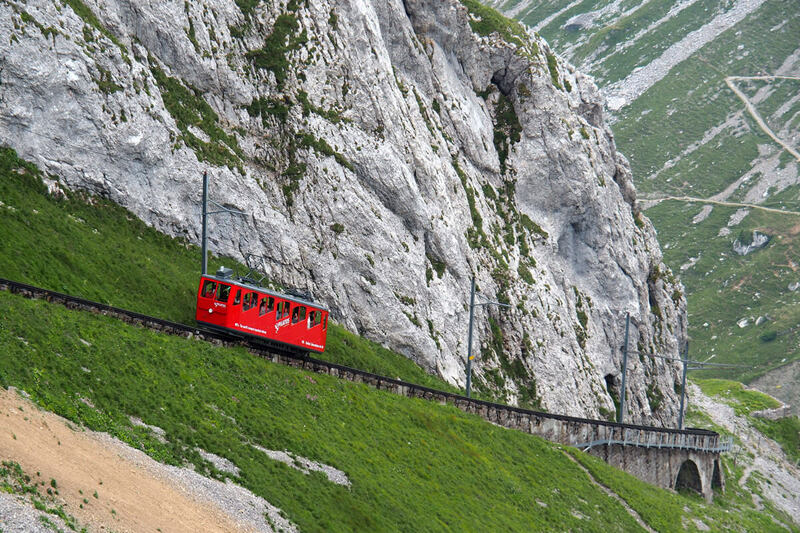 Or in non-technical terms: The Pilatus cogwheel railway climbs to the top like a wooden roller coaster would climb the big drop! Can you imagine our excitement? With cameras and smartphones ready to go, we take lots of pictures and videos from all angles. 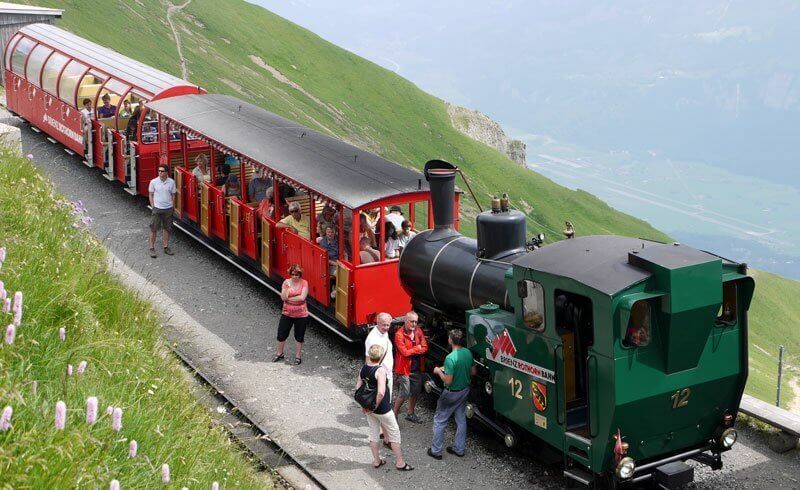 During high season, not just one but five individual coaches will travel up and down the 4.6 km track. They surely make for great subjects! At 2132 meters above sea, we check in at Hotel Pilatus-Kulm with its three-star superior rating. 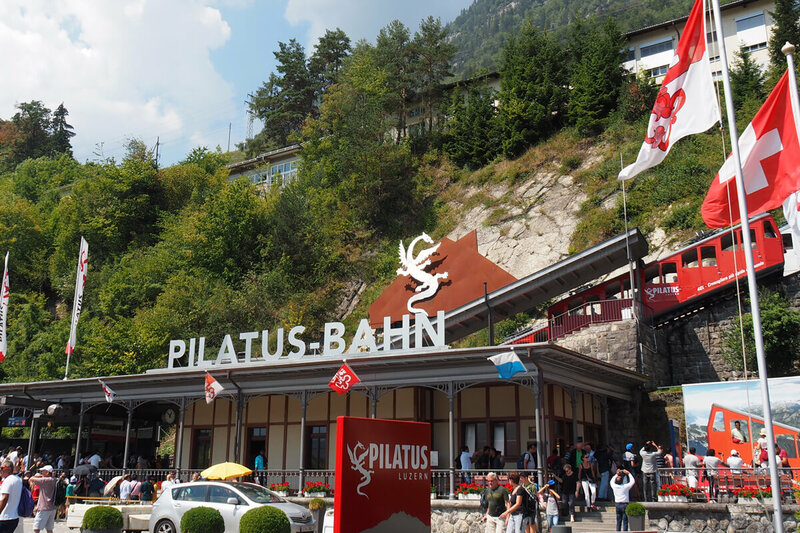 Built in 1890 at a time when the cogwheel railway was still powered by steam, the Hotel Pilatus-Kulm has aged well. Obviously, this mountain lodge has received some recent cosmetic upgrades to its rooms, from luxurious bathrooms to stylish furniture. Unexpected touches include a pillow menu with a number of cushions to pick from. But the top USP has got to be the view! It's time to meet our mountain guide for the Ibex Safari! We learn that at one time, ibex were nearly going extinct in the Alpine area. Then, some 112 years ago, a secret ibex trade between an Italian hunter and the Swiss manager of a wildlife conservation area took place. The hunter had illegally removed two young ibex from the Italian king's hunting grounds south of the Matterhorn to bring them across the border. This trade was to be the beginning of the resettlement of ibex within Switzerland. 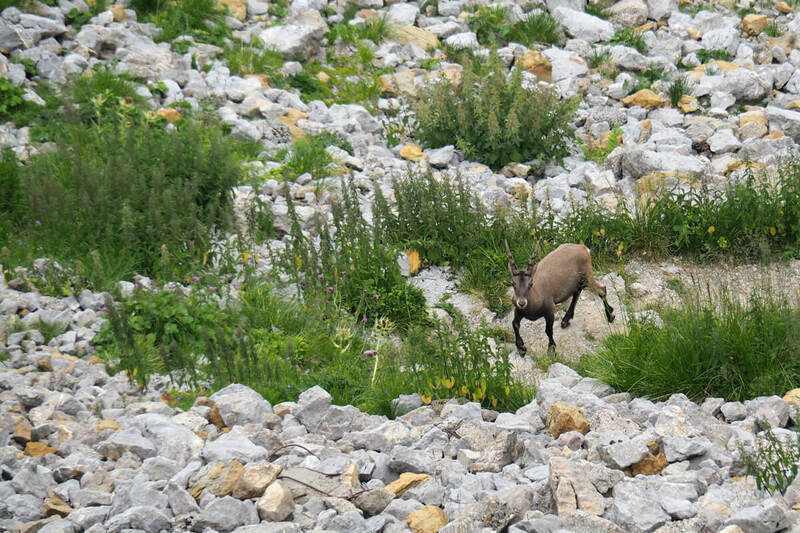 Fortunately, the Mount Pilatus colony has expanded to 105 ibex. "Ibex are rather shy. But deep inside, they know that they are a protected species," our guide explains. "This is why they will sometimes graze within proximity of hiking paths." We further learn that the next closest colony lives on Brienzer Rothorn, a fact that we can confirm. Unlike deer, ibex do not loose their antlers. A skilled mountain guide can tell the age of an ibex by counting the rings on the antler. (In the Mount Pilatus lobby by the souvenir shop, you will find a majestic, sixteen year old ibex.) By starting at the tip of the antler and moving towards the forehead, our guide teaches us how to count the rings. By now, it is 6 PM and most tourists have vacated the top of Mount Pilatus. 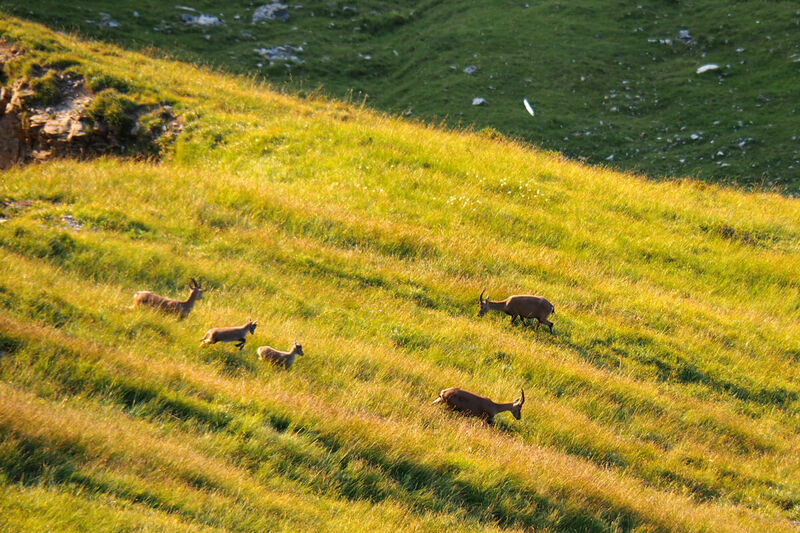 The following day, we wake up to watch the sunrise - and we spot an extended family of ibex! Our natural alarm clocks go off at 5:45 AM, just minutes before the smartphone would have chimed. Within minutes, we have climbed the small peak behind the hotel. Before the sun appears on the horizon, we see only the silhouettes of the Alps to the south and to the east. As the sky starts to get brighter, we can tell Lake Lucerne with its various branches below our feet. Being all alone on mountain top is a feeling that is hard to describe. I wish that every one of you will get to experience it once in a lifetime. 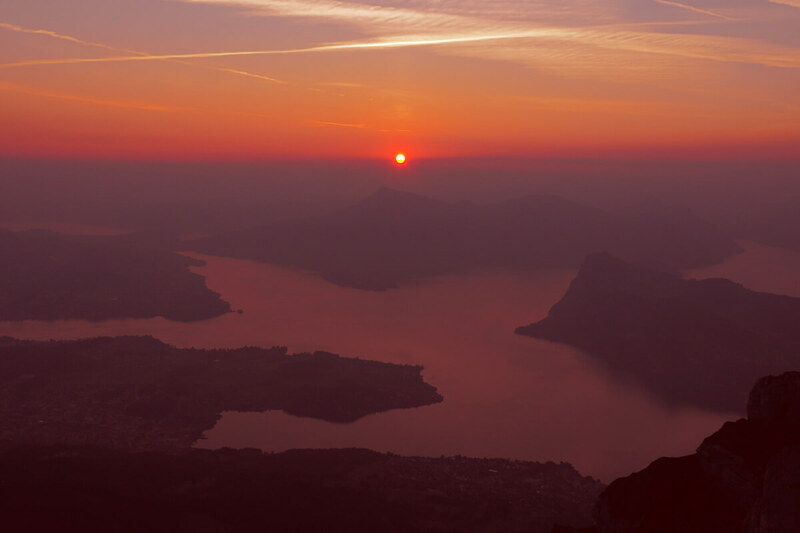 In the minutes that follow, we witness how the peaks light up in pink and orange hues - from Mount Rigi to the Bernese Alps. Breakfast at the Queen Victoria hall starts from 8 AM, so we have plenty of time to explore the carved out path behind the hotel. After a rejuvenating breakfast, we check out and embark on the Flower Trail. It's an easy yet spectacular round trip hike from the hotel (90 minutes). The first 30 minutes of the flower path towards the Tomlishorn is paved. 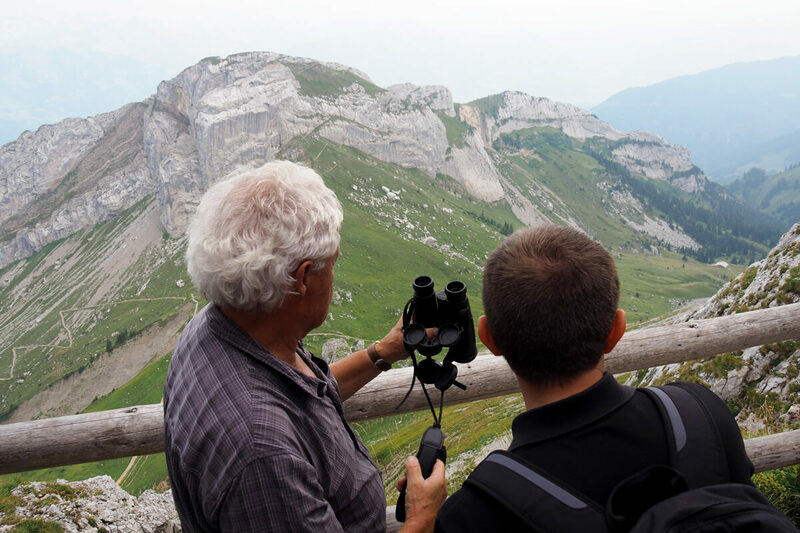 Anyone, from toddlers to seniors, can take their time to enjoy the bird's-eye views and learn about the alpine flora. The last stretch to the peak of Tomlishorn is a mountain trail that requires proper shoe work. 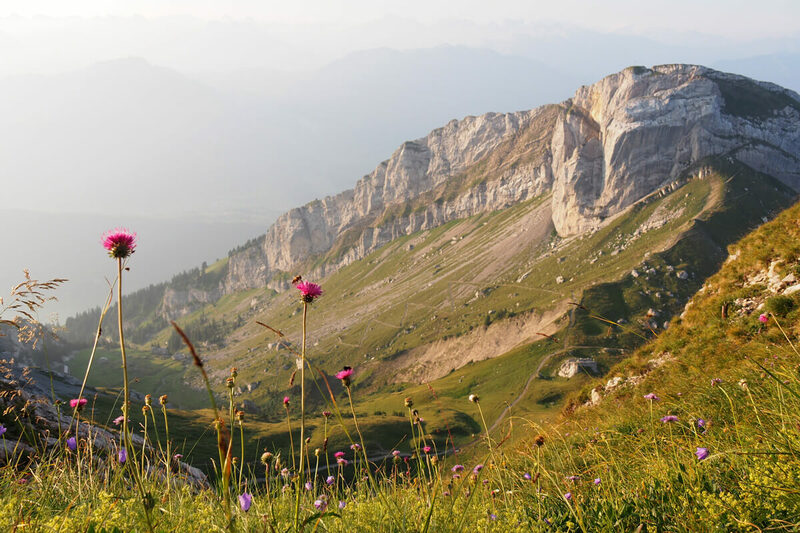 For us, the Flower Trail feels like yet another highlight during our stay on Mount Pilatus. So, what are you waiting for? 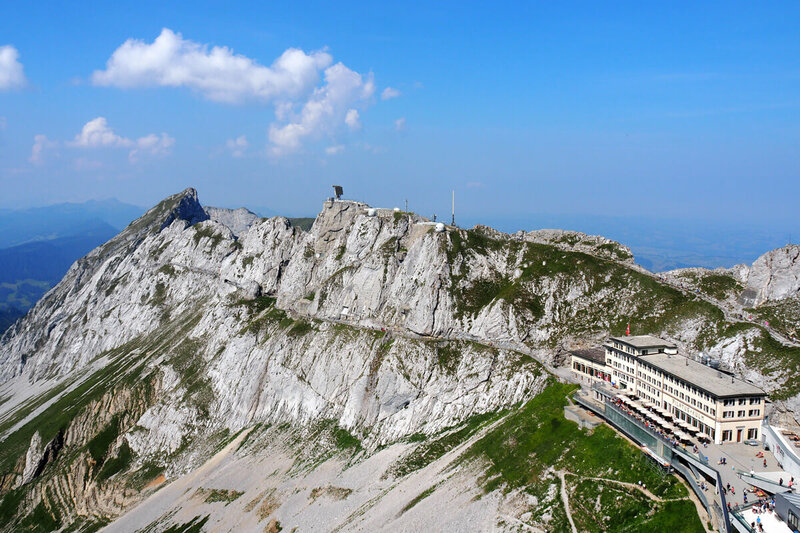 Here's some information about Mount Pilatus and the Ibex Safari. 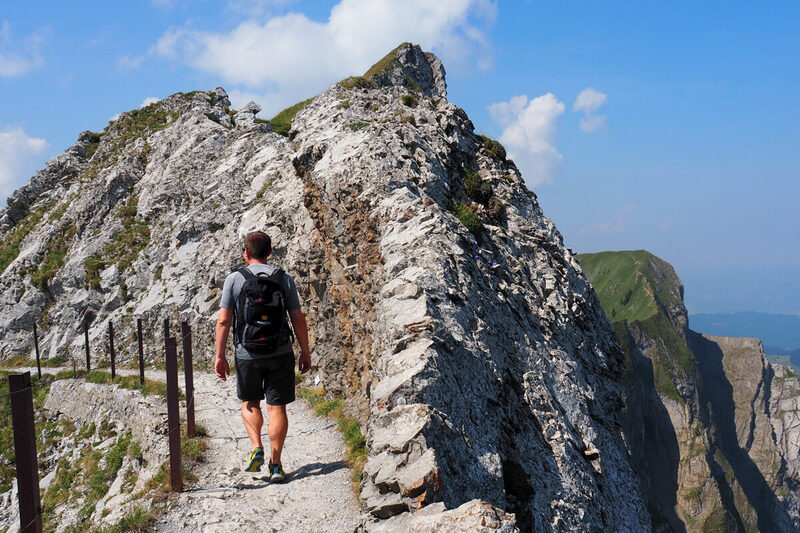 The Ibex Safari package is priced at 299 francs per person, which includes round-trip transportation from bottom to top, an overnight stay at Hotel Pilatus-Kulm in a double room, dinner and breakfast. The package is available on select dates from June to October, and the guided morning walk to spot ibex is offered in German only. 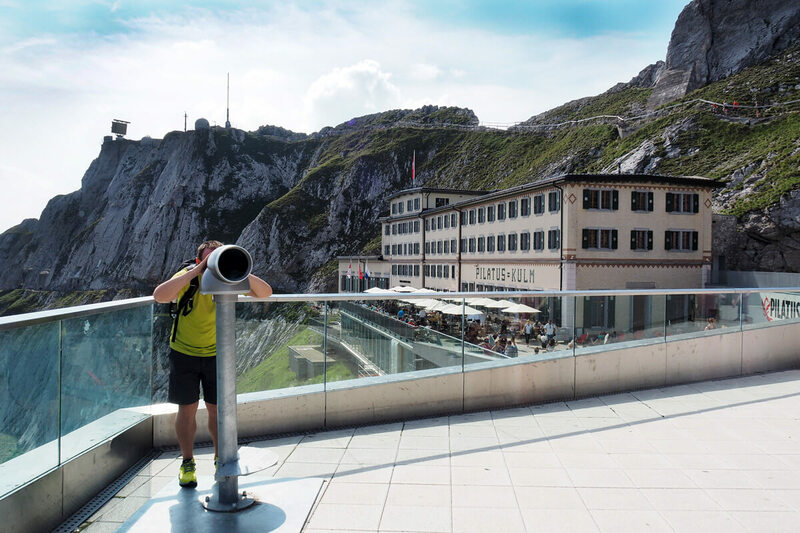 An alternative to guided ibex spotting is the Pilatus z'Nacht, which takes place every first and last Saturday from June through September. It turns out, we did get to ride a dragon after all! 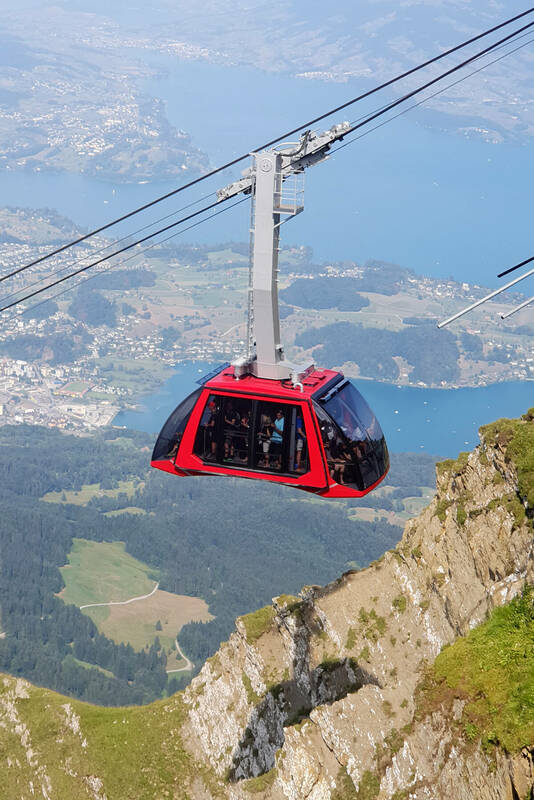 On our way back to Lucerne, the "Dragon Ride" cable car lowers us to the meadows below Mount Pilatus on an unforgettable ride. It is a hyper modern cabin with special seating that provides a front row perspective. Litter! What Is It Good For? Absolutely Nothing!